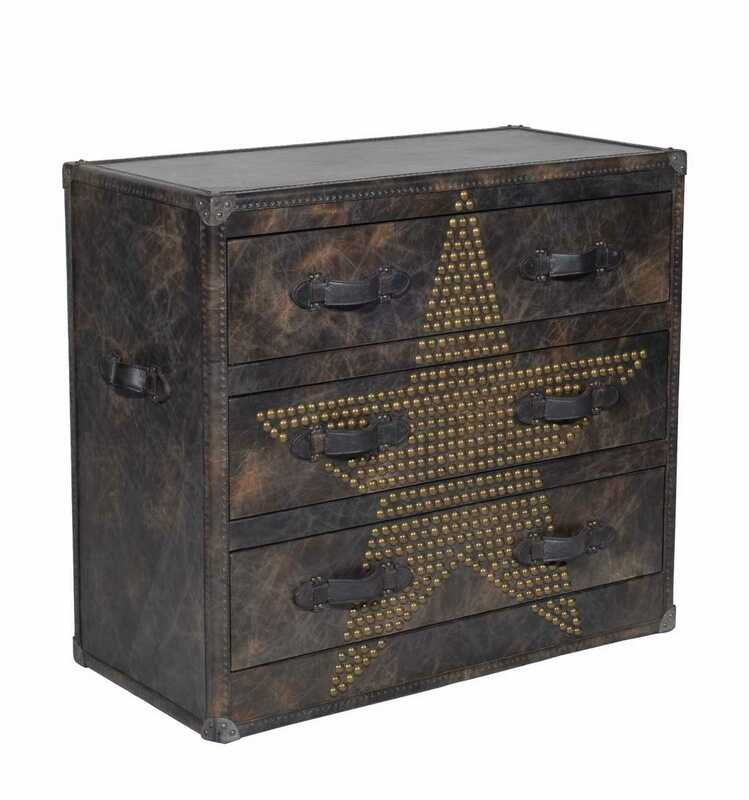 An Andrew Martin three drawer chest, upholstered with distressed fudge leather and star studded metallic detailing. Supplied with leather handles to drawers and sides. This Andrew Martin vintage style chest of drawers is covered in soft brown leather. It is also emblazoned with a wonderful brass studded star patterned detail. It’s bold proportions and muted colour pallets ensure it can be used in a wide variety of interiors. From an urban cool apartment bedroom, a charming Cotswold converted barn or even a chic mountainside ski chalet. It can be used as a standalone piece, punctuated by a statement accessory or complemented by a striking piece of artwork. A simply stunning piece of furniture which is guaranteed to make a statement in any interior.